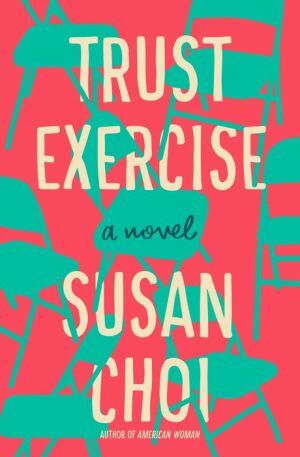 Pulitzer Finalist Susan Choi's narrative-upending novel about what happens when a first love between high school students is interrupted by the attentions of a charismatic teacher. In 1982 in a southern city, David and Sarah, two freshmen at a highly competitive performing arts high school, thrive alongside their school peers in a rarified bubble, ambitiously devoting themselves to their studies―to music, to movement, to Shakespeare and, particularly, to classes taught by the magnetic acting teacher Mr. Kingsley. It is here in these halls that David and Sarah fall innocently and powerfully into first love. And also where, as this class of students rises through the ranks of high school, the outside world of family life and economic status, of academic pressure and the future, does not affect them―until it does―in a sudden spiral of events that brings a startling close to the first part of this novel. In the book’s second part, the reader immediately and surprisingly learns that what we understood to have happened thus far in the story is not completely true, though it’s not entirely false either. The plot thickens and speeds up and tightens, until, with a stunning coda, the author reveals a final piece of the puzzle that makes this novel shock and resonate long after the final sentence.